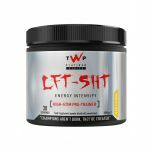 Brand new from TWP, Salvage offers a high quality, fast acting Whey to take your gains to the next level. With a combination of Hydrolysed Whey/Casein and Whey Protein Isolate, Salvage is the first protein powder in the UK to completely disclose the entire breakdown of protein content to offer complete transparency. High performance and high quality, Salvage contains zero carbs and zero sugars to help you shed excess weight while still adding muscle mass. The Salvage blend contains a combination of high quality Whey Isolate and Hydrolysed Casein/Whey which packs an amazing 21g of protein per 29g serving. All of these sources are rapid digesting to ensure you feel the benefits as soon as possible. Salvage has been formulated to be more than just a run of the mill protein powder. Designed to be consumed at any time of the day, Salvage comes is a more refreshing juice based drink which is easy to consume and tastes great! Added AstraGin helps you to better absorb the contents of Salvage, meaning that you see more benefits over an extended period. High Protein - The Salvage blend contains a combination of high quality Whey Isolate and Hydrolysed Casein and Whey which packs an amazing 21g of protein per 29g serving. Zero Carb/Zero Sugar - High performance and high quality, Salvage contains zero carbs and zero sugars to help you shed excess weight while still adding muscle mass. Better Absorption - Added AstraGin helps you to better absorb the contents of Salvage, meaning that you see more benefits over an extended period. Rapid Digestion - All of the protein sources in Salvage are rapid digesting to ensure you feel the benefits as soon as possible. Great Taste - Salvage comes is a more refreshing juice based drink which is easy to consume and tastes great. Entire Protein Breakdown - Salvage is the first protein powder in the UK to completely disclose the entire breakdown of protein content to offer complete transparency. Who is Who is TWP Salvage For? 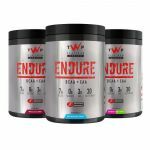 Fast absorbing, quick acting, and high quality, TWP Salvage is perfect for anyone looking for a protein powder with a biological value through the roof to compliment a structured nutritional plan. For best results miz 1 scoop (29g) of Salvage with 500ml-1000ml of water dependant on taste preference, Salvage can be used as an any time protein top up and also utilised intra workout.